I’m at an interesting phase in my life. A few years ago I was in a long-term relationship and running an online business. I’ve since sold the business and become single. From ages 19-25 I basically never had to worry about finding work or dating. I was fairly “set”. I didn’t do much dating before 19 and have only ever worked for myself (besides working at the family business when I was in high school). What I’m trying to say is that, up until recently, I’ve never dated or looked for work in my life. I’m 27 now, so basically I have been jobless and single for 2 years. Much of those 2 years have been spent in self-reflection and self-discovery. I’ve learned so much about myself and had so many wonderful experiences in that time. I’ve travelled, gone back to school, gotten healthy, and created a wonderful life in a new place. It’s been a blessing to not have to work and to not be in a committed relationship. But the tides are changing and my gut is telling me that it’s time for this period of my life to end. But wait a second…I’ve never really dated. I’ve never had to apply or interview for a professional job. This is going to be interesting. So this last 6 months have seen me clumsily begin to navigate the world of dating and job searching. I downloaded all of the dating apps and began optimizing my profile and continuously messaging girls. After a lot of trial and error, I started getting dates! I bookmarked Indeed, Glassdoor and Linkedin and began searching for a job in earnest. I learned how to make my resume more attractive, how to write customized cover letters that weren’t just copied and pasted, I learned how to talk about myself and craft the narrative of my professional life. I went from being a nervous wreck on phone screens to actually sounding like a bright, confident individual. I went from being absolutely terrified to go to an in-person interview to only being slightly terrified. I went from sitting at interviews nervously, coming from a place of insecurity and imposter’s syndrome, to a place where I was genuinely interviewing the company to make sure it was a good fit for me. The result of all of this? 7 on-site job interviews and no job offers. Several first dates with 0 second dates. In the past, this would have absolutely wrecked me. Here I am, putting myself out there like never before. I’m fighting through fear to go on dates and go to interviews and I’m getting turned down time and time again. Terrible, right? Not really. I am loving this time of my life. I’m learning so much at such a rapid pace. I’m getting outside of my comfort zone almost every day. I’m learning how to be a charming date. I’m learning how to connect with potential employers. I’m learning how to make a good first impression. I’m learning how to manage my anxiety in ‘high-pressure’ situations. I’m learning how to handle rejection with grace. I’m learning how to let go of the results and focus on the process. It’s been beautiful. Has it always been easy? Hell no. Has it always been fun? Definitely not. But it’s been a process that has improved my self esteem and my belief in my abilities. I’m learning how to do things that many people learn to do earlier in life, and that’s totally fine! I had my own journey and it was awesome. And now I’m here, and that’s awesome too. I’ve been calling these last 6 months my “rejection phase”. 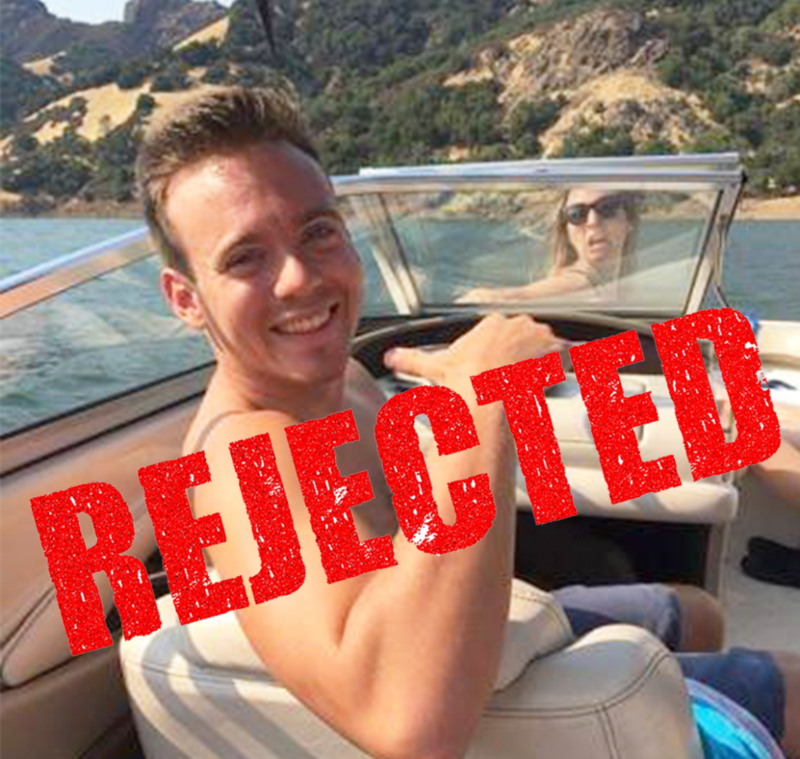 At first it was actually really disheartening to get rejected. A date not texting back or receiving a rejection email after an interview would ruin my whole day. But now I simply remind myself of the progress that I’ve made. I’ve gotten much better at circling back on my personal philosophy that things will work out when and how they’re supposed to. I’ve found a new serenity in my life, a new reaction to adversity that I would never have found without all of this rejection. The lesson in all of this? Rejection is one of the greatest opportunities for growth. If you’re not getting rejected once in a while, I would venture a guess that you’re spending too much time in your comfort zone. Rejection is a sign that you’re on the right path. Rejection is a test in resilience and faith. Rejection is a lesson in humility. Rejection is a wonderful thing, it just depends on your perspective.